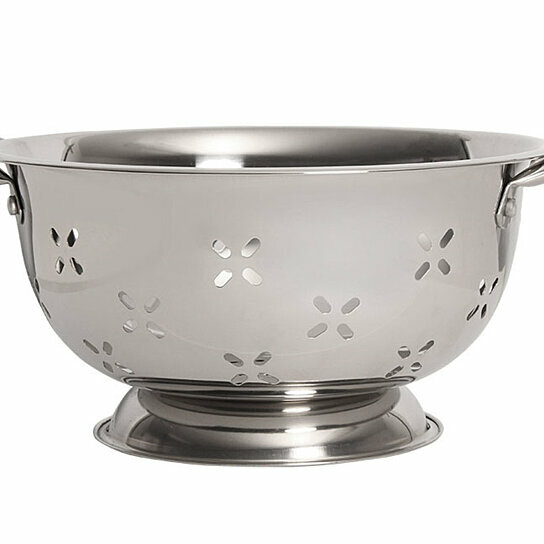 Stainless steel 3 quart capacity colander with stylish hole pattern. 3 Quart Capacity. Stainless Steel. Warranty: 1 Year. Country of origin: India.